The role of the Product Owner is critical for the success of a Scrum team. However, that’s also one of the roles that is the most affected by company policies and culture. Product Owners are not usually shielded from management, and in fact sometimes they are management. In this episode we talk about a Product Owner that was also the CEO of the company. What can we do when the Product Owner is so hard to reach? Listen to what Natalie has learned about engaging absent Product Owners. Looking at the outcomes from previous retrospectives, and what has been achieved so far based on those retrospectives, is a good way to assess our impact on the way the team works. This is only one of the methods Natalie uses to assess her success as a Scrum Masters. In this episode we also review some tools Natalie has learned to use in a distributed team environment. This week we look at a retrospective format that helps us re-evaluate what we achieved from previous retrospectives. Natalie asks us to focus on the positive (what works), what we want to do better (what to improve) and also to look at previous retrospectives to review the achievements to far. In many organizations Project Management is the defining paradigm for developing and delivering products to the market. How do we bring Agile to such organizations? 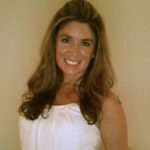 Natalie shares with us a story of such a transition. We discuss concrete ways to bring Agile practices to that organization without overwhelming everybody, and explore ways to make that changes sustainable over time. In a high stakes project, like the one Natalie describes, it is tempting to start focusing on the schedule from the start and spend time trying to predict how long things will take. But is that the best us of our time and talents as Scrum Masters? Listen in to learn what Natalie learned about making projects a success that require very little focus on duration or effort estimation. 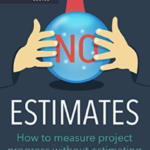 In this episode we discuss the book NoEstimates, How to measure project progress without estimates.